"When you just need a cozy layer in case of a chill, turn to Tyria! 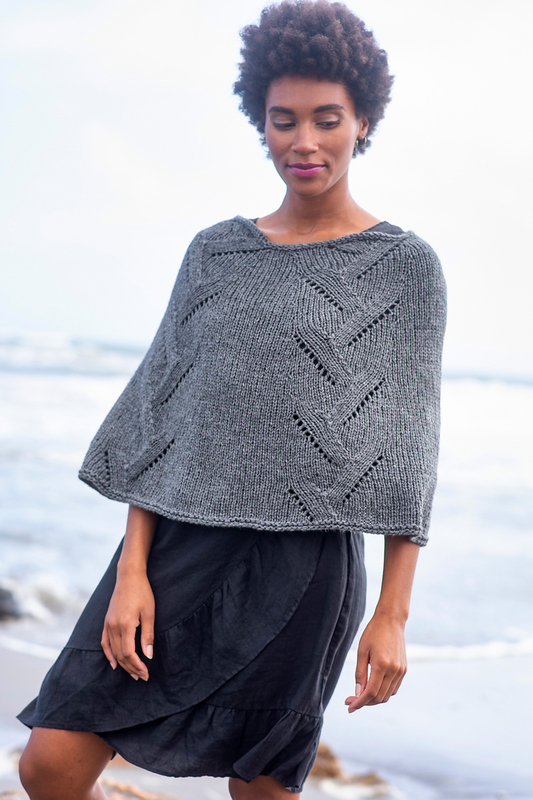 This easy capelet knitting pattern is knit from the top down with simple eyelet lace." Finished Measurements: Neck Edge: 24 (25, 26)"
Lower Edge: 51 1/4 (54 3/4, 58 1/4)"
Berroco Booklet 391 Catena Patterns - Yeva - PDF DOWNLOAD is a similar pattern: 14 (3.5 sts. / inch) finished gauge, shawls, wraps, ponchos garment, for women, and bulky (12-15 sts/4 in) yarn gauge. 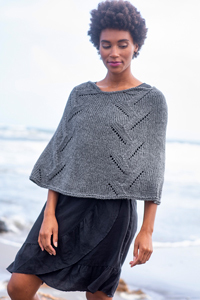 You may also like Shibui Knits FW16 Collection Patterns - Avenue - PDF DOWNLOAD, which is another similar pattern: 14 (3.5 sts. / inch) finished gauge, for women, and bulky (12-15 sts/4 in) yarn gauge. Hopefully our suggested yarn options for Tyria - PDF DOWNLOAD can help you come up with your next exciting new project idea!